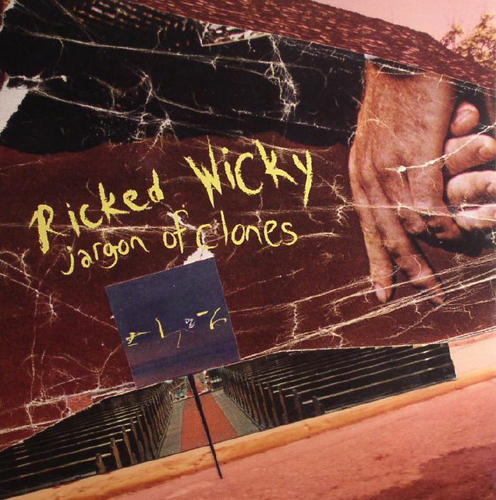 One of two 7'' singles released for the 2nd Ricked Wicky LP, King Heavy Metal. "Jargon of Clones" is featured on the a-side, while an unreleased Nick Mitchell composition is found on the b-side. 7''s limited to 500 copies worldwide. This one's on yellow vinyl. Jargon of Clones- Same track appears on the LP King Heavy Metal. Read the review there. Quite Worthy- 4 Nick Mitchell penned track! Pretty breezy guitar rock reminiscent of some solo Pollard stuff from the 00's but with more of a The Who slant. Excellent harmonies by Mitchell. Pure late '60s gold on the vocal front that truly lifts this song into something that's almost worthy of me making a lousy pun.